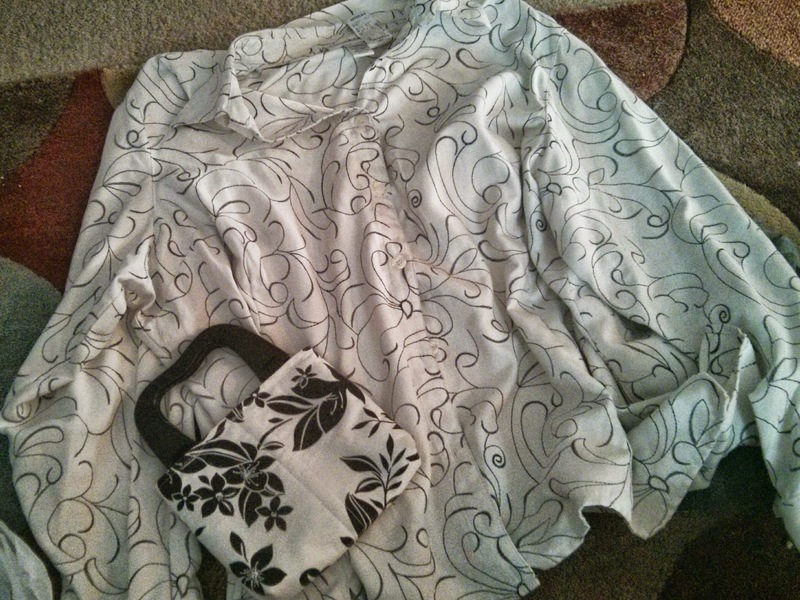 For $7, I scored a tiny little purse with beautiful black wooden handles, a beautiful white shirt with a black embroidery pattern, and a small gray T-shirt at an area consignment shop. 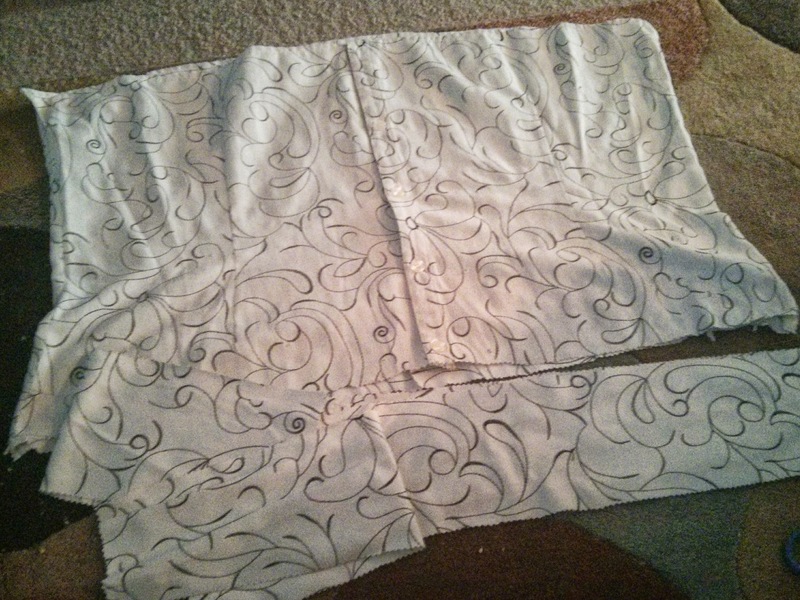 A few hours later, I snipped apart the shirt with intention of turning it into an amazing skirt! I snipped off the long sleeves and the collar from the shirt and shaped the body of the shirt into a boxy-ish rectangle. 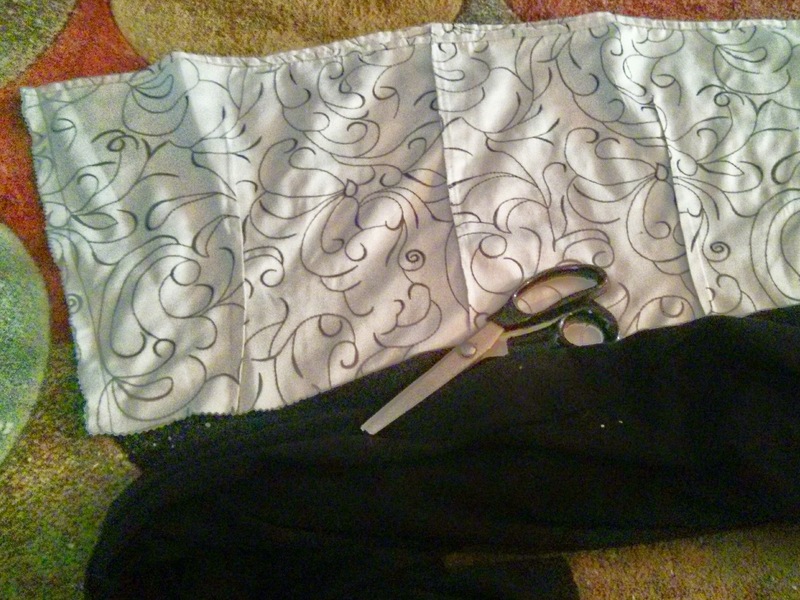 I cut the long sleeves apart into long strips to create a tube for the waistband. 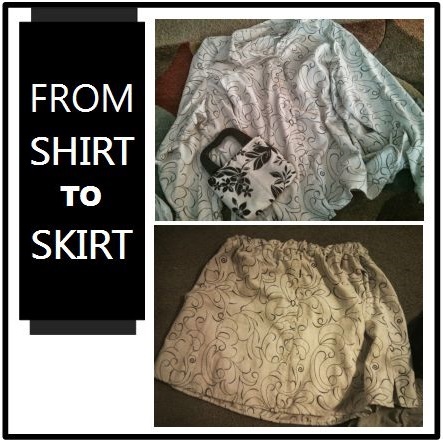 This has been my go-to method and so-far favorite method when creating skirts. 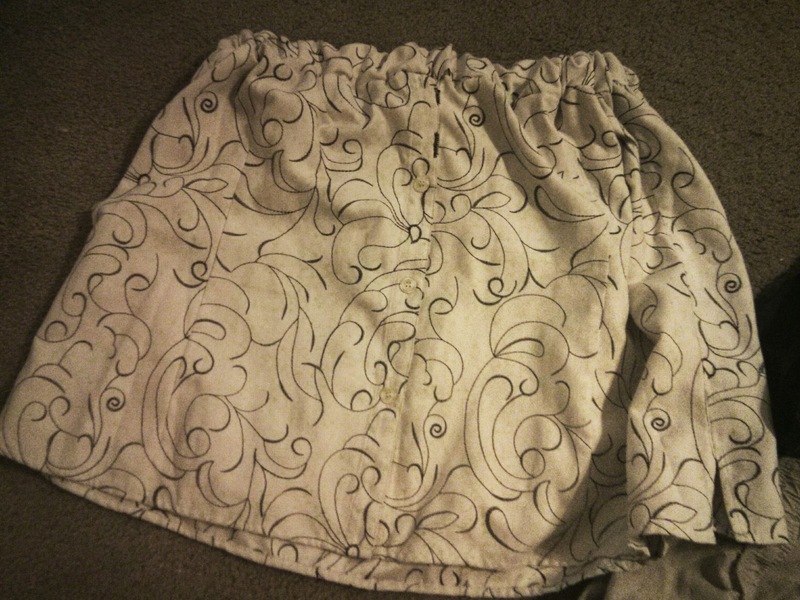 After attaching the tube to the skirt, a piece of elastic was inserted and sewn together. 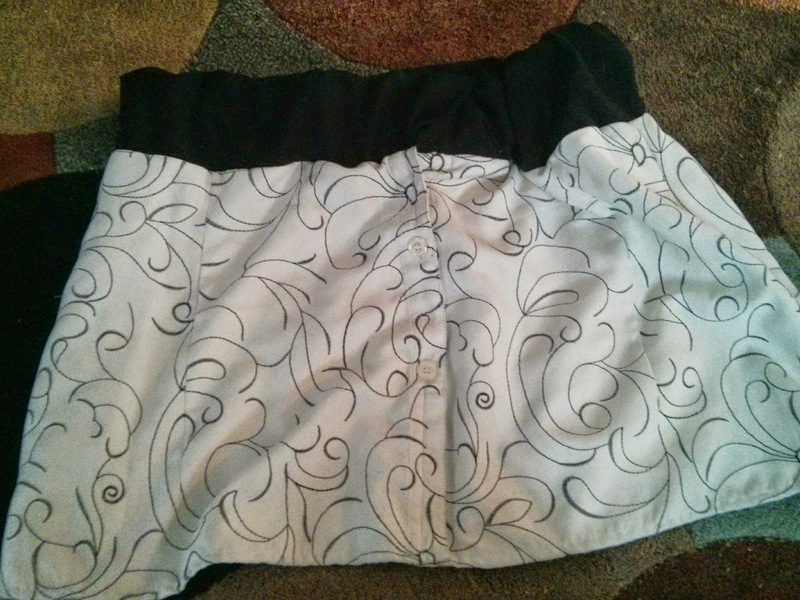 Now, I have a beautiful white patterned skirt! Because of the color, I hope the skirt will look good all year long with either strappy sandals or knee high boots. The elastic waistband bothered me — it was really bunchy and not very pretty. 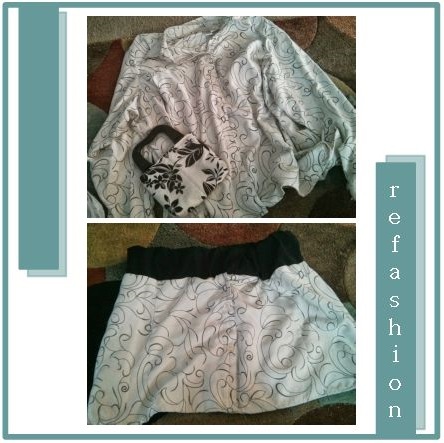 So, I took off the waistband and added a new one refashioned from a pair of black stretchy pants from a thrift store. One of the legs was turned into a tube to accommodate a 3-inch piece of elastic. I really love using wide elastic for waistbands, and this is the first time I’ve used 3-inch elastic (I usually work with 2-inch elastic). In my opinion, the black waistband definitely makes more of a statement and I just love the wider width. A keeper and will look great with the handbag find.